Erick Russell practices in the firm’s Government Finance Department. Erick represents state and municipal governments in the issuance of tax-exempt and taxable bonds and other debt obligations. In addition, Erick represents issuers of 501(c)(3) bonds, qualified private activity bonds, revenue bonds and conduit borrowings. He has drafted primary financing documents, including bond authorizations, purchase contracts, opinions and bond and note closing documents. In addition, he has conducted due diligence and legal research with respect to state and municipal law issues relating to the issuance of bonds and notes. Prior to joining the firm’s Government Finance Department, Erick practiced in the firm’s Litigation Department. His litigation practice focused primarily on complex business litigation and healthcare and probate litigation. He represented businesses and individuals before state and federal courts in matters involving contract disputes, unfair trade practices, misappropriation of trade secrets and proprietary information and breach of fiduciary duty. Earlier in his career, Erick represented low-income taxpayers before the Internal Revenue Service and the Connecticut Department of Revenue Services as part of the University of Connecticut School of Law's Low-Income Tax Clinic. 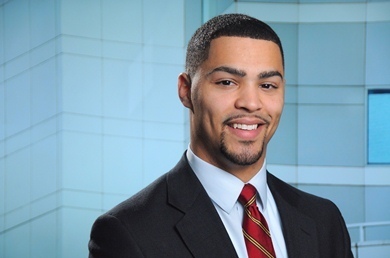 He also interned for the General Counsel to Governor Dannel P. Malloy prior to joining the firm as a summer associate in 2011, and served as a legal intern for the Connecticut Legal Rights Project in 2010.